The painting was part of the exhibition ´Amalia meu Amor´ where 18 artists participated. With her grace , her aura and especially her voice, Amalia Rodrigues gave Portugal a musical identity. After her death in 1999, fado has seen a new wave of popularity. 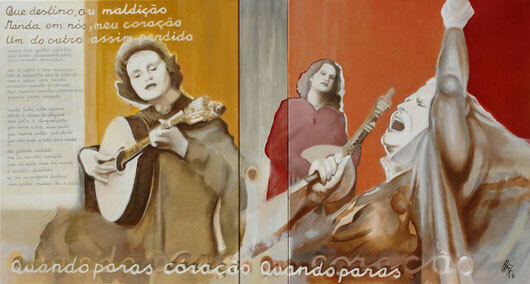 But amongst all the famous singers, Amália is still the Queen of fado.